Cyprus Airways Airbus A320-200 FS9 for the FAIB A320-200 IAE FS9 base model. Thanks to Philippe Tabatchnik for sending his old DJC paint Photoshop-file for this airline. It was a huge help when making the repaint! 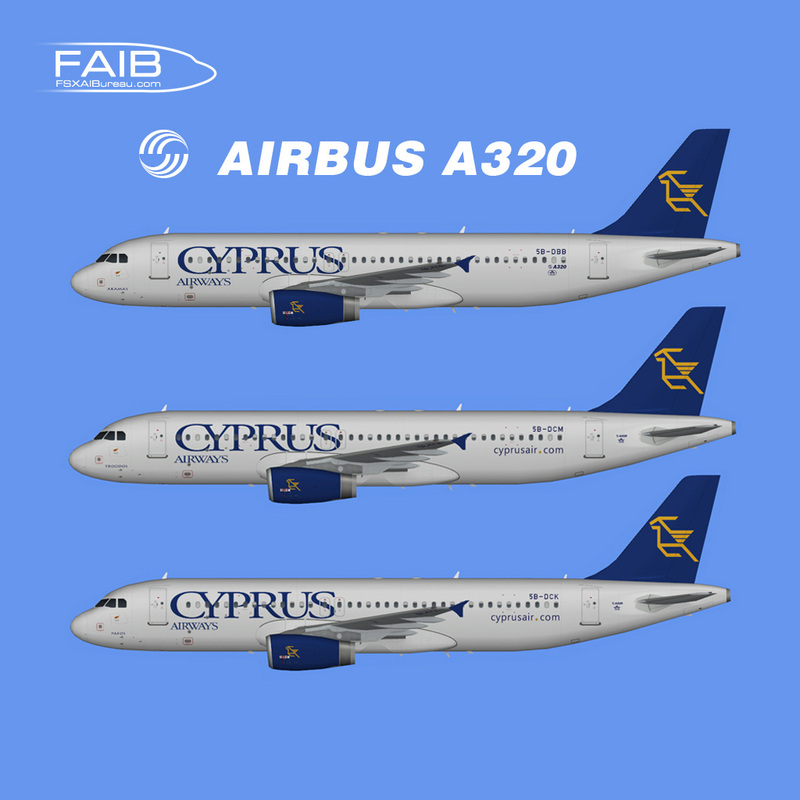 Cyprus Airways Airbus A320-200 FSX for the FAIB A320-200 IAE FSX base model.